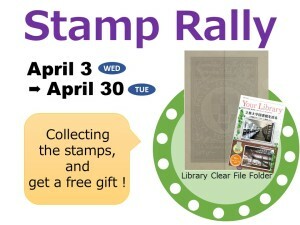 Let’s join the Library Stamp Rally, at Ikebukuro Library and Niiza Library! After collecting all stamps, you will get a Library Clear File Folder. *The number of novelty items is limited. You can get the stamp rally map near the library entrance.